It is exactly 12:05 a.m. on January 1, 2014. The last five minutes have been dramatic. Sounds of firework and shouts of “Happy New Year” interrupted my thought as I tried to wrap up some tasks for 2013 and plan for the New Year. Before I realized anything, my younger brother, who just dashed out to enjoy the fireworks, was beside me and asking for permission to open his present. As I whispered “Happy New Year” and handed my present to Kevin, I could not but feel a surge of sadness: 2013 is gone forever. Another year has flown by. Instead of feeling the joy that seems to be penetrating many hearts, I cried. ‘Thy strength indeed is small. These words comforted my heart as I thought of what Christ has done for me on Calvary. In my sorrow, I realized that I will always fall short of His glory. 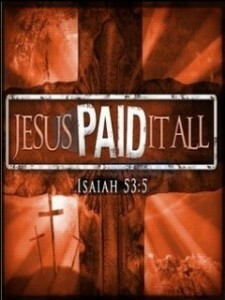 But no matter how far or how hard I fall, Jesus has already paid the penalty for my sin. His grace is sufficient, while his power is made perfect in my weakness (2 Corinthians 12:9). Remembering this precious promise of God caused me to wipe away my tears and pray. In my prayer, I gave thanks to God for 2013. I gave thanks for the decisions He has made and the events He has fashioned in my life. Most importantly, I gave thanks to God for the gift of salvation and the covenant of grace. I thanked Him for saving me and for promising victory to all His people. Does your reflection of 2013 also prompt thoughts of regret and sorrow? Were there things you wish you could have done differently? Whatever your feeling for 2013 may be, it is important to remember that God is sovereign and good: He makes no mistake (Jeremiah 29:11). 2013 may be gone, but 2014 has just begun. Let us cast away our regrets and fears and enter 2014 with great joy, knowing that Christ has triumphed— He is victorious! I would like to take a moment to thank a few individuals who have played an active role in making the Prayer Vigil Update possible. Thank you Pastor Wagner for faithfully proclaiming the Word of God and challenging me to think heavenward. Thank you Dr. Bonaldi for leading the monthly Prayer Vigil and encouraging believers to stand for the truth. Thank you Deacon Robles for your active involvement in the Vigil and other pro-life activities. Thank you Mom for your love for prayers and for encouraging me to join the team outside Planned Parenthood. Thank you everyone for your prayers and loving support. Your email responses to the Prayer Vigil Updates have been a great blessing and encouragement to me and the team! THANK YOU!!! Happy New Year!